A family getaway and an adults holiday in one, yes this does exist. Jean-Michel Cousteau Resort offers a unique holiday for the discerning family travellers. With buddies for all the children throughout the day and evening you will reconnect with that special someone. 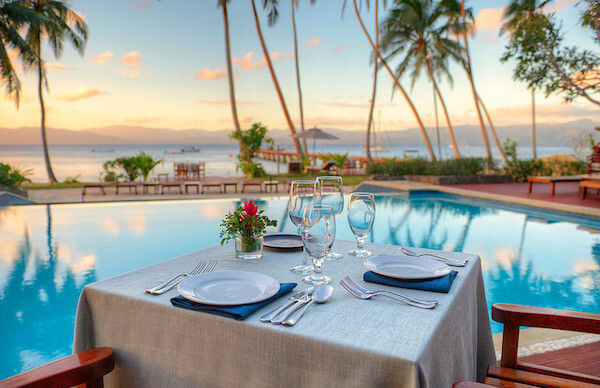 Take your loved one to lunch overlooking the blues of the pool and sea beyond, head out on a dive together or laze by the pool sipping cocktails, listening to the palms swaying above. Your kids aren’t at any kids club, they’re at “The Bula Club”, one of the best we’ve experienced. This isn’t a minding service, its where your kids will learn about their Fijian surrounds. They’ll head out with their buddy on the reef, learn about the creatures below and how to plant and grow coral from the resident Marine Biologist. You’ll find them hanging out at the treehouse, building rafts and hunting for crabs. Playing a game of tennis or reading books for some quiet time. Join them in the family pool with races down the slide, watch your toddler splashing in the mushroom pool. 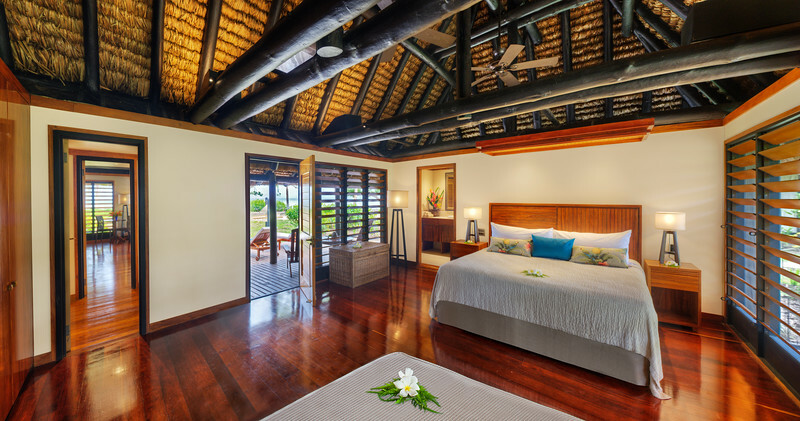 Located a short and picturesque 40 minute flight from Nadi International Airport, Jean-Michel Cousteau Resort is a must for families and couples looking to reconnect, rejuvenate and enjoy all Fiji has to offer. With several package options, contact us today to find the one that suits you. Your home at Jean-Michel Cousteau is a private Bure in the lush tropical gardens or beach front, each built to take in the tropical breeze with their floor to ceiling windows. All include Pure Fiji Products, some with 1 or 2 bedrooms and for that extra special getaway, why not enjoy the President Villa with its own pool. Included in your stay are all meals, prepared using fresh and sustainable local produce some of which are grown right here in Jean-Michel Cousteau’s organic garden. The kitchen is overseen by head Chef Raymond Lee, famous in his own right. You will feel as though you’re eating foods from a hatted restaurant with every bite. All non-alcoholic beverages are included, from your fresh ground coffee in the morning to the bottled Fiji water delivered to you by the pool and all drinks in your mini-bar replenished daily. All non-motorised water activities, guided catamaran and snorkel trips daily. There are activities for the whole family to enjoy, with trips to Savusavu town, waterfall hiking, yoga and much more.